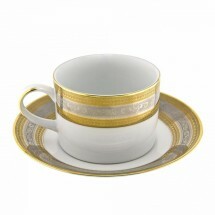 The Elegance Dinnerware collection from Ten Strawberry Street will make a striking impression on formal dining table settings. 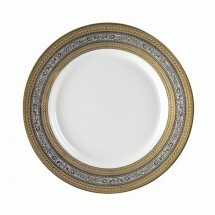 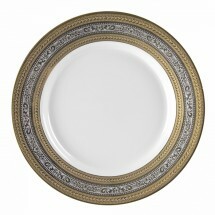 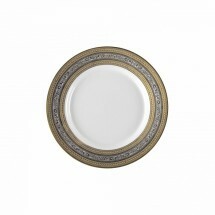 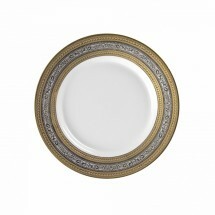 The Elegance design features a rich gold and silver accented pattern that is both smooth and shiny. 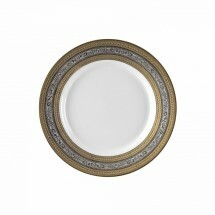 This exclusive dinnerware will beautifully frame your signature dishes at wedding receptions, banquets and other special occasions. 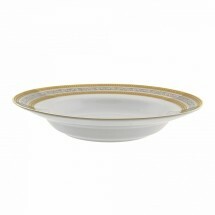 Made of porcelain, this restaurant dinnerware is dishwasher safe, but hand wash is recommended.